A closer look with our theories explained for the new Death Stranding trailer from Sony's E3 2018 press conference. 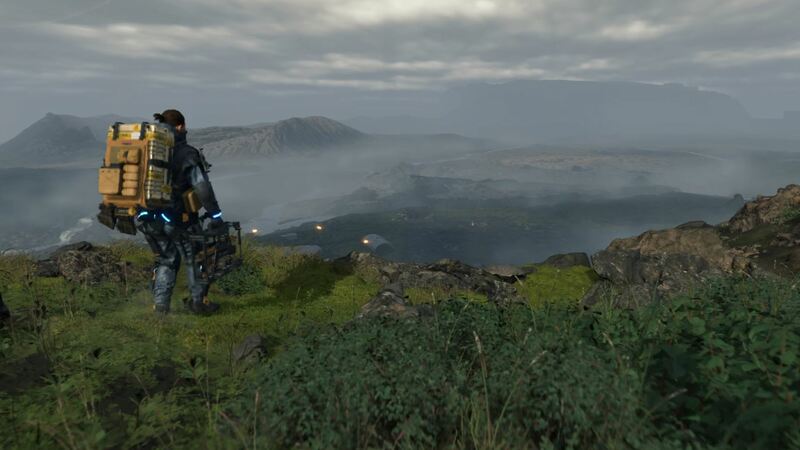 At Sony's E3 2018 press conference, a new trailer for Death Stranding was revealed along with a host of new information about the game. If you were enraptured by the footage shown, don't worry, you're not alone. We found it impossible to look away as the newest Death Stranding trailer unfolded before us. The internet is already aflame with new theroes and explanations for the game's story. Now that we have the time to go back and look at it again, we've already begun to notice things we missed the first time. 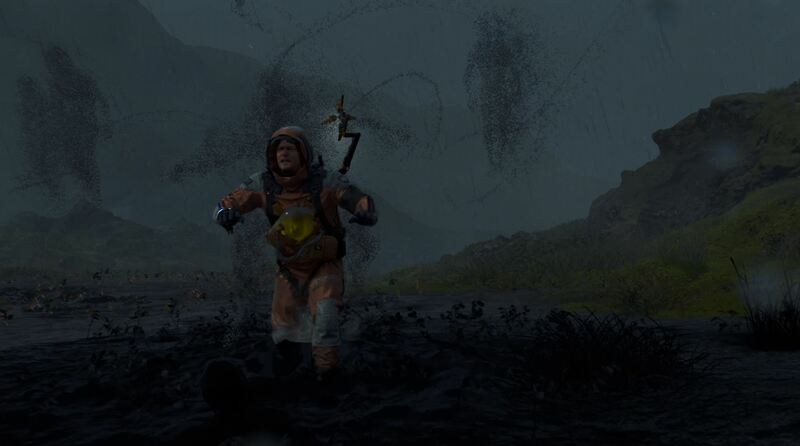 For a quick recap, here's everything you might have missed in the new Death Stranding trailer, and our theories behind it. The trailer opens with narration that introduces us to "Sam Porter Bridges" played by Norman Reedus. He's referred to as "the man who delivers" which is explained a bit more as the trailer goes on. Apparently, Sam can't see "them" but he can sense them somehow. 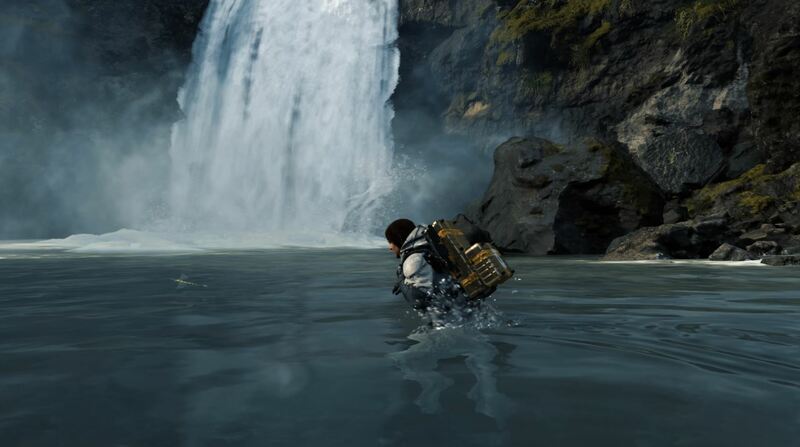 It's unclear how many people in this world are able to see and sense Death Stranding's creatures though it's implied that neither seeing nor sensing them is common. 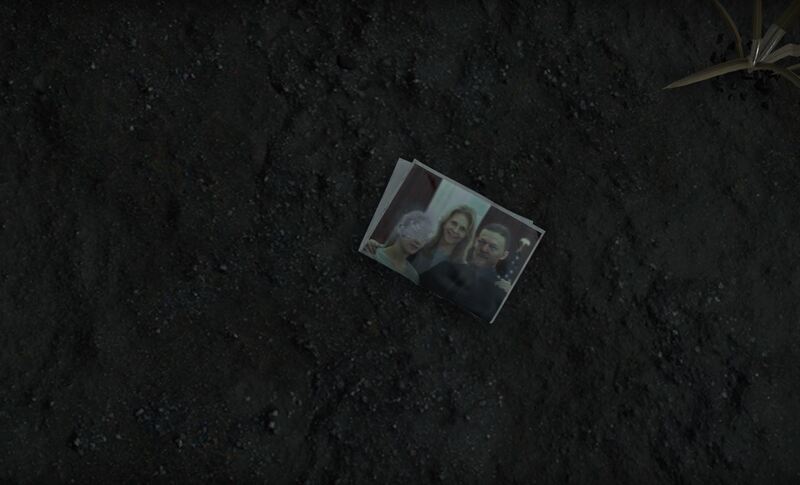 We then see a photograph in the mud that shows Sam, an older woman, and a younger woman standing beside him. The narrator invites Sam to come work for him, though he's reluctant as he emphasizes that he "just makes deliveries, that's all." A song begins playing. What is the song in the E3 2018 trailer for Death Stranding? At the bottom right of the screen, you can see that the song is "Asylums for the Feeling feat. Leila Adu" as performed by Silent Poets. As the song plays we see Sam making his deliveries across a variety of regions from scenes that look like they're on Mars, to scenic vistas with beautiful flowing waterfalls. There's a part where Sam is in the shower and you can see his body is battered from the lengthy deliveries. This comes back into play in another scene where Sam rips off his loose toenail. Ouch. In the scene above, we can see what appears to be a town or settlement. Is Sam on another planet, does he make intergalactic missions, or is this some remote location in a version of Earth? It's hard to tell. 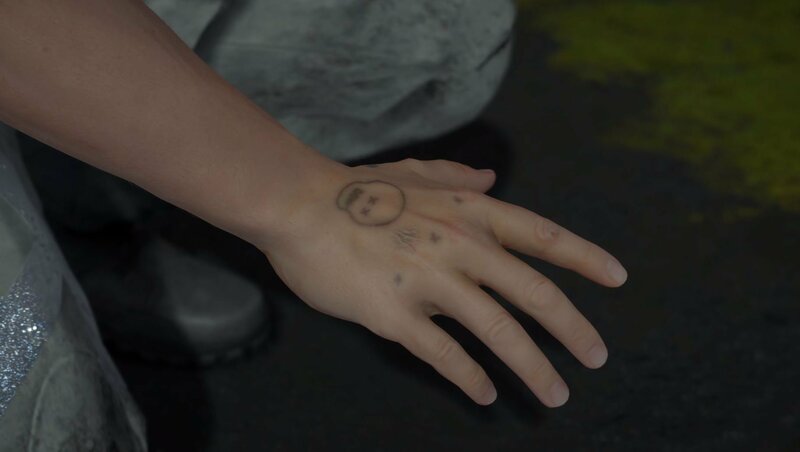 The tattoo on the back of Sam's hand is shown twice in the trailer, symbolizing that it's of some importance. It's possible it simply references who he works for, though it could also be something personal. As we see his hand tattoo for the second time, the temperature drops and we can see Sam's breath. His hand is then grabbed by a mysterious woman. 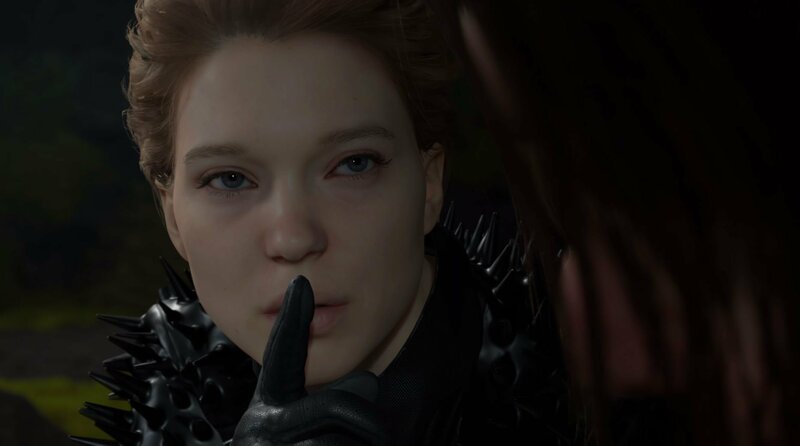 She repeats the same "be quiet" gesture we've seen in the last Death Stranding trailer, and the trailer where Mads Mikkelsen's character made an appearance. Again, this suggests that the creatures are attracted to sound. As she stands and begins to walk away, she asks Sam if he's heading into town. Is this the town/settlement shown earlier, or a different one? Additionally, we can see the words "Fragile Express" written on her outfit. While it's hard to discern what this is in reference to, it's possible she's also a sort of delivery person like Sam but working for a different company. Her voice is also the same as the female narration from the beginning of the trailer, making her the same person who asked Sam to come work for her. The baby also makes a return in the E3 2018 trailer for Death Stranding, and from what we can see in the trailer, it looks like Sam is using the baby to detect the game's mysterious creatures. He even taps on the container at one point to prompt the baby to look up and out. 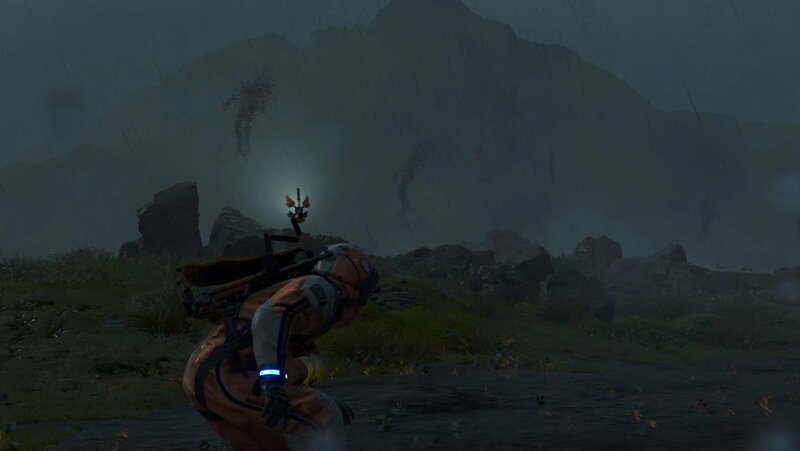 The detection gear is the same as what was shown in the previous Death Stranding trailer at the 2017 Game Awards, with a flashing claw light at the end pointing in the direction of the creatures (seen below). Of course, Sam doesn't seem to make it past them without detection as he's soon swallowed into the mud by the creatures which take the form of shadows. 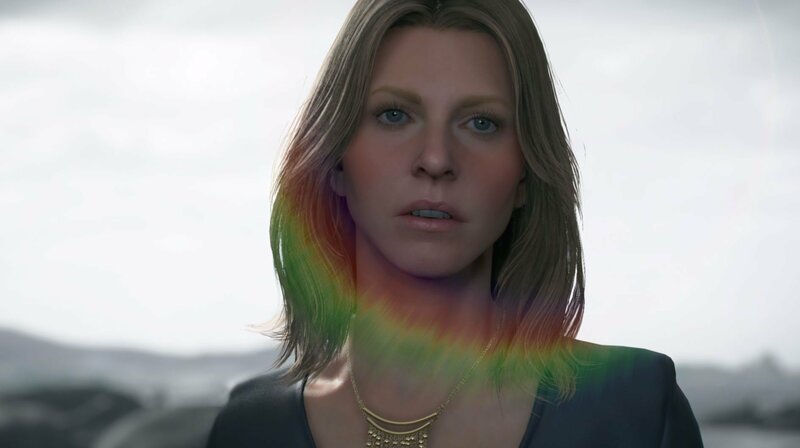 Before the trailer comes to an end, a new woman appears on the beach from the first Death Stranding trailer. She turns and asks Sam whether he really doesn't recognize her. Is she the same woman shown in the photograph? 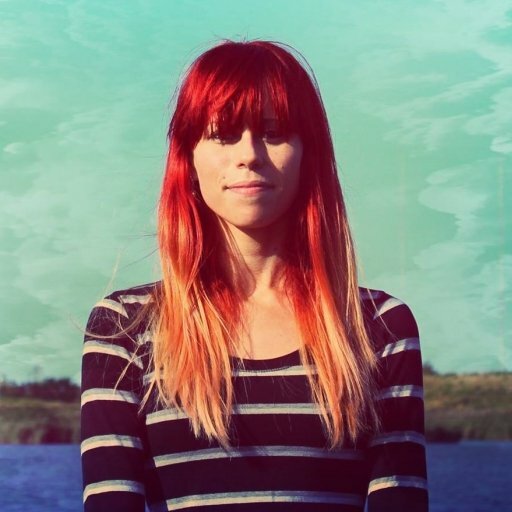 It's hard to tell, but she does look similar to the younger woman standing beside Sam in the image. 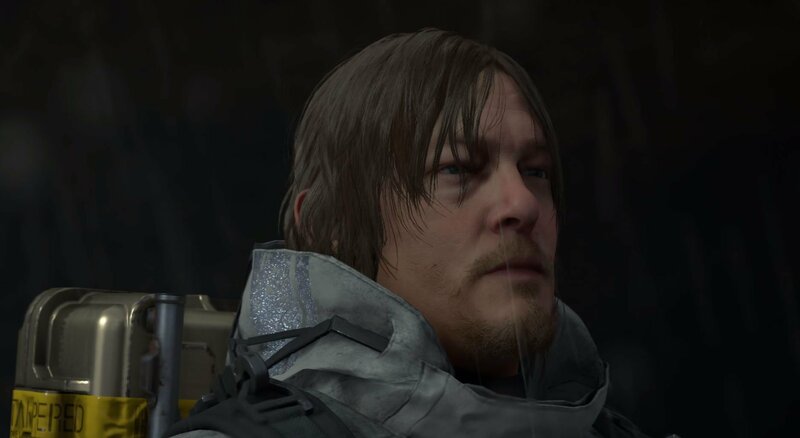 The new Death Stranding trailer closes by listing off the confirmed cast members which include Norman Reedus, Mads Mikkelsen, Lea Seydoux, and Lindsay Wagner. 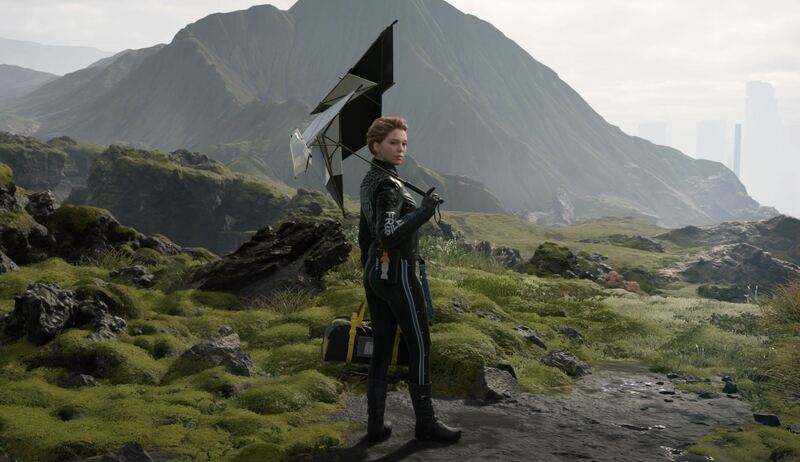 For more of the Death Stranding cast and crew, be sure to follow the game's IMDB page and recap the trailer down below. As of right now, no release date has been announced, however Kojima later confirmed that what was on display in the trailer was actual gameplay footage running at 4K. So, what do you think of the latest Death Stranding trailer. Did you find anything you missed the first time? Have any theories as to the story? Let us know your thoughts in the comments!